Can’t get enough data? Information Design will fulfill your quest for information. This Coursera offering is part six of an eight-part specialization in information design. In this course, you will learn some of the fundamentals of information architecture as well as a broader picture of its role in the larger pool of information known as Big Data. Scott Klemmer is a professor of Cognitive Science and Computer Science &amp; Engineering at UC San Diego. He is also co-founder and Associate Director of the Design Lab. 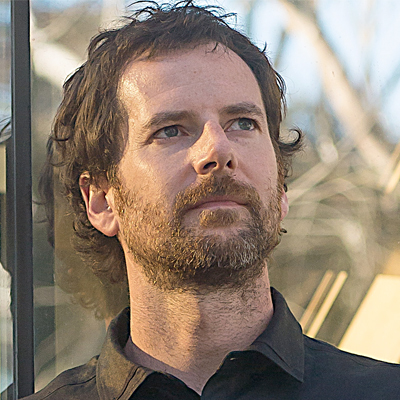 His lab’s open-source design tools are used by organizations around the world, and he previously directed the Human-Computer Interaction Group at Stanford. This three-week online course includes videos and discussion opportunities that will help students understand information design from beginning to end. This class covers a wide range of design principles including typography, layout, and color. It will also teach students how to use those principles in different contexts, such as on mobile where it can be difficult to create sites that are easy to read due to the small size of the screen. By the end of the course, they’ll be able to create beautiful and effective user interfaces in a wide range of diverse form factors. The first week of class will cover wireframes and mock-ups. Long before students start coding, they’ll want to lay out an interface so that they can get feedback without doing the weeks or months of difficult programming work. The instructor will talk about the importance of rapid prototyping for communicating with a design team and getting buy-in, and then teach students how to create rapid prototypes. This week includes three videos: The Interaction Design Specialization, Wireframing, and Mockups. Students will be ready to create a functional interface without even starting to code. In the second week, the class will focus on flexible layouts. In the modern world, there is a vast range of devices, and any site needs to be functional on all of them. This module will cover reasons and strategies for designing flexible sites. By the end of the week, students will understand internalization and responsive design. They will learn to develop an interface strategy that accommodates a wide range of devices. There are four videos in this week: Responsive Design, Internalization, Make a Difference and Putting It All Together. The last week of Information Design will cover big data. Big data is a huge part of the world today, and students need to be able to work with it to do quality information design. This week’s two videos will help students understand where big data might come up in your work, and how to use it. Those videos are Designing Smart Things and A Conversation with Visualization Expert Ben Fry. By the time students have completed this three-week course, they will have a strong foundation in information design. They’ll be able to take big data and turn it into useful visualizations and to create sites that function on a wide variety of devices. Information Design is offered by UC San Diego and includes videos, quizzes, and graded projects. It also provides students with the opportunity to connect with thousands of fellow learners so that they can discuss ideas and practice the course material. Upon completing the course, they’ll receive an official certificate which they can print out or add to their LinkedIn profile. A core part of information architecture is the information, and this course focuses on that. This course deep dives into the topic of information design, looking at both the specifics of planning it out to the expansive idea of big data. You’ll learn from one of the best in a collaborative Coursera environment and possibly earn a certificate in the end.